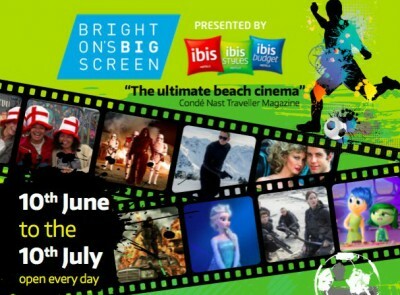 The Brighton Big Screen team were preparing to entertain thousands of revellers over a five week period at their annual outdoor film festival, located on Brighton beach. 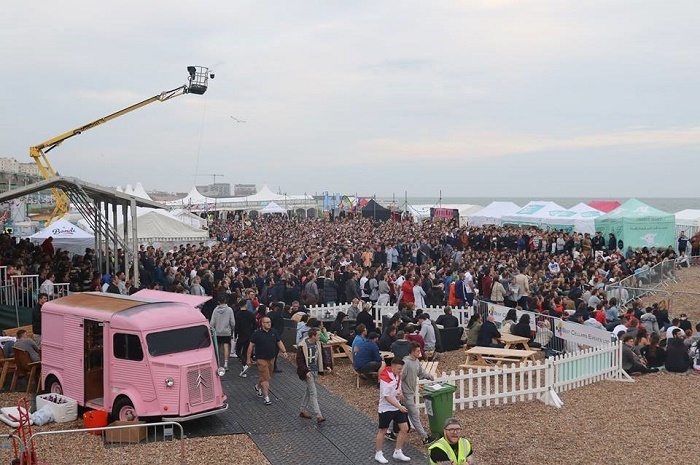 But the team realised – late in the process – that additional ground protection was required to satisfy strict health and safety regulations, so that partygoers could safely enjoy the fun and games taking place on the beach, even if bad weather came. How could they find quality ground protection at such short notice? MultiTrack mats are perfect as a walkway for large crowds; strong, non-slip, easy to lay. 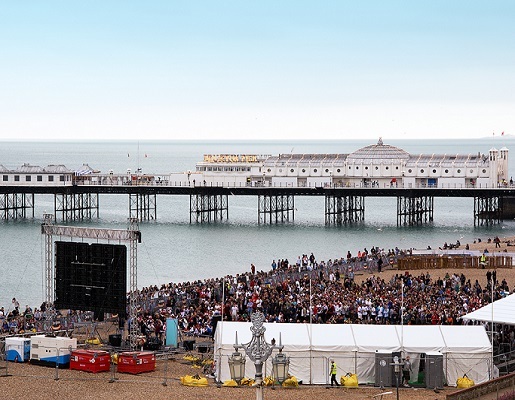 We loaded up our wagons and had the mats delivered down to Brighton and installed within 24 hours.